As NAASAS members strive for excellence, we reward those that stand out as shining examples among the leaders of education within the adult novelty industry. Our awards will be presented to those who empower other professionals in the field of sexuality. 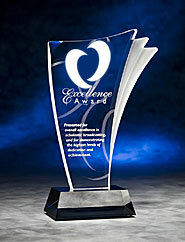 Coming soon- we will be awarding several categorical awards to those who serve as an inspiration to their peers. The winner will be determined by other NAASAS members through formal nominations.